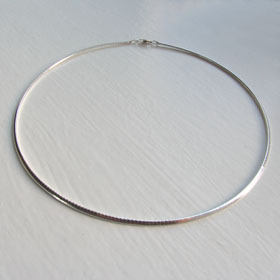 Our 2.5mm Italian sterling silver omega chain is a firm, wiry necklace and our herringbone chain with draddles behaves in a similar way but is a softer construction. 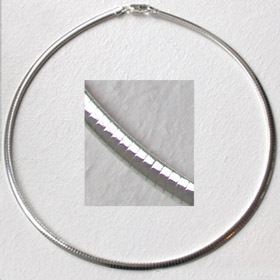 Our 4mm and 8mm silver omega chains are also firm and make brilliant chokers with or without a pendant. 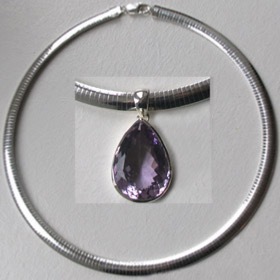 Shown left is our 8mm omega chain with one of our amethyst pendants. 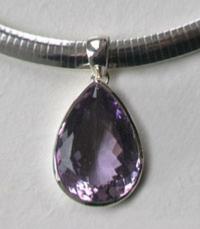 All our omega chains are sterling silver and made in Italy. 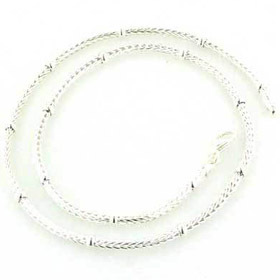 These silver chains are available in lengths 16" to 22"
Enjoy free delivery in the UK on all our silver chains.